The Arctic Research Support and Logistics (RSL) Program supports the fieldwork of research projects funded through science programs in the Arctic Sciences Section. The RSL program was created to make Arctic fieldwork safer, more efficient, and more cost-effective. The RSL program supports facilities and services to the research community through grants, cooperative agreements, and contracts. The RSL program may co-fund logistics for proposals funded elsewhere at NSF or at other agencies as a result of co-review and co-funding discussions involving the Arctic Sciences Section program officers. Researchers should plan to go to the field no sooner than one year after submission to allow time for NSF to plan, budget, and complete environmental compliance for projects. Prior to award, all proposals are evaluated for total logistics costs and feasibility, whether the logistics are in the proposal budget or provided by a third party. The RSL program funds the Arctic Research Support and Logistics Services contract, a prime logistics contract to provide support to grantees, currently awarded to CH2MHILL Polar Services (CPS). Other commonly used third-party support organizations are listed below. If using a third-party provider, the proposal should include a letter from the support organization in the Supplementary Documents section of the proposal. The letter should be 1-2 pages long and include a description of the scope of work and a cost estimate. Please allow third-party providers 4-6 weeks to prepare a letter to accompany your proposal. For projects requesting ship time on a U.S. Coast Guard or University-National Oceanographic Laboratory System (UNOLS) vessel, researchers should submit a Ship Time Request (STR) and include the STR as Supplementary Documentation. Investigators are encouraged to make use of services provided through the RSL program to make research safer and more efficient. U.S. Coast Guard Cutter HEALY. Photo by Dave Forcucci. The RSL program accepts proposals to improve safety and efficiency of research or research support, to develop novel technologies, and to provide services to the research community. Projects that will work in or near Arctic communities should follow the Principles for Conducting Research in the Arctic. NSF encourages researchers to discuss proposed work with communities during development of the project and to bring results back to the community following each field season or the end of the project. Toolik Field Station, Alaska. Photo by Jason Stuckey. Investigators should include travel funds for this type of communication in the proposal budget. The RSL program may also support requests to visit communities on an ad hoc basis. These visits are anticipated to be limited to a few days and do not include additional funds for salaries or stipends. Please contact the RSL program managers for information about these opportunities. Proposals considered for funding will be assessed for environmental impacts according to the National Environmental Policy Act (NEPA) and other applicable laws including the Marine Mammal Protection Act, Endangered Species Act and the National Historic Preservation Act. NSF may utilize contractors to assist with this process and provide expertise. Principal Investigators (PIs) should expect to be asked for information about their fieldwork as part of this NEPA compliance process. Twin Otter supporting a field campaign in Greenland. Photo by Genti Toyokuni. The RSL program has an Inter-Agency Agreement (IAA) with the Space and Naval Warfare Systems Command (SPAWAR) to provide information assurance services to ensure compliance with the Federal Information Security Act (FISMA) and to provide expertise and guidance on IT support services made available to the arctic research community. SPAWAR will conduct site visits to evaluate information assurance at field sites. They have assembled a working group of arctic IT providers to include input from the provider and user communities. In consultation with NSF and the Arctic Information Assurance Working Group, SPAWAR will develop IT security policies, Rules of Behavior, and produce the Arctic Sciences Program Information Security Newsletter to disseminate information about IT security to the arctic research community. The main activities of the RSL program are through the Arctic Research Support and Logistics Services contract to CH2MHILL Polar Services (CPS). Please visit the CPS website or contact the CPS planning group at planning@polarfield.com for more information about the services they provide. CPS manages support throughout the Arctic, including use of contractor and military airlift; support to and within Greenland; and support in Alaska, Canada, Russia, Norway and the Arctic Ocean, other than on ships, providing field gear, risk analysis and field safety training. The following service providers are funded by NSF to assist researchers with their fieldwork. Please contact the organizations directly to follow their process for requesting support. Include a 1-2 page description of the services and cost as Supplementary Documentation in proposals to NSF. 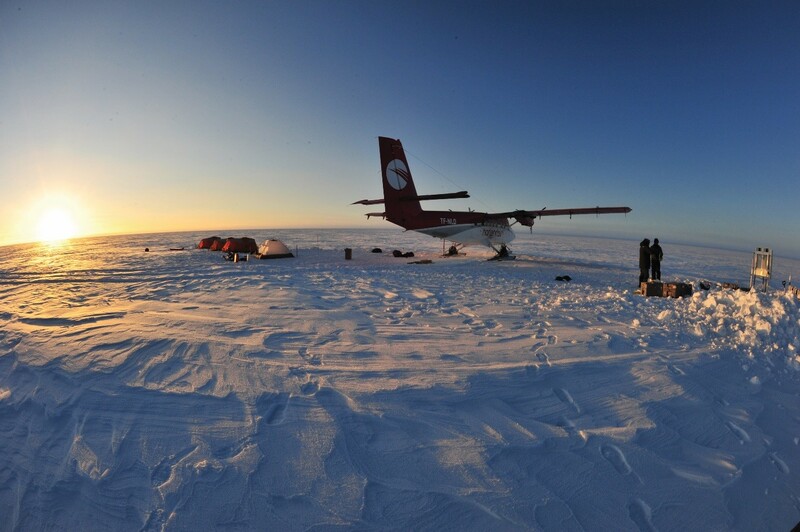 CH2M HILL Polar Services (CPS) - The arctic research support and logistics provider http://polar.ch2m.com with information about specific locations, field safety training, environmental compliance, and information for researchers planning field expeditions. Ice Drilling Design and Operations and Ice Drilling Program Office (IDDO/IDPO) - Funded through a cooperative agreement to plan and support ice drilling in the polar regions http://www.icedrill.org/. Incorporated Research Institutions for Seismology (IRIS) - Funded through a cooperative agreement in NSF’s Earth Sciences Division, IRIS provides seismometers and related equipment for studies http://www.iris.edu/. National Ice Core Laboratory (NICL) - The U.S. facility for storing, curating and studying deep ice cores from glaciated regions of the world http://icecores.org/. Polar Geospatial Center (PGC) - A resource for geospatial imagery to request and analyze imagery for Arctic researchers http://www.agic.umn.edu/. Ship-based Science Technical Support in the Arctic (STARC) - Planning and technical services for cruises on the USCGC Healy http://icefloe.net/healy-science-technical-support. 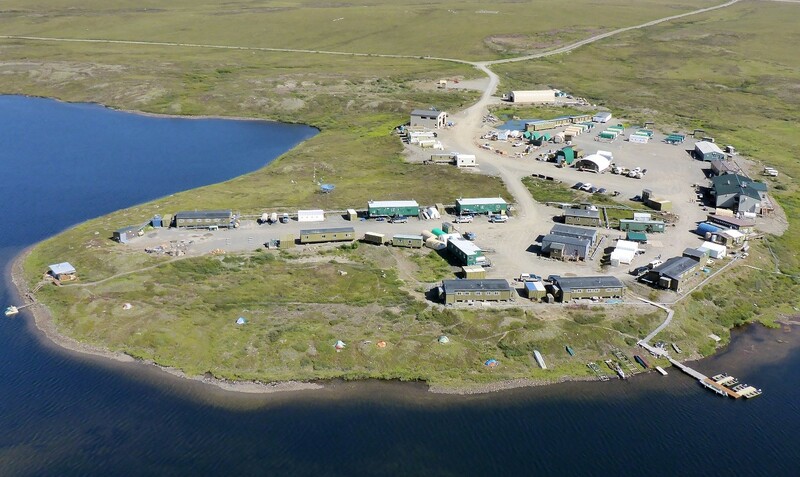 Toolik Field Station (TFS) - Make your reservation and plan your field season in close contact with the managers of TFS, utilize services from the Toolik GIS office and data from the Environmental Data Center http://toolik.alaska.edu/. UNAVCO - Funded to provide geodesy resources to polar researchers such as digital GPS, ground-based LiDAR and other resources http://www.unavco.org/. Submit a request for services using their online form http://achaia.unavco.org/public/newproject/supportform.aspx or contact Joe Pettit pettit@unavco.org. University-National Oceanographic Laboratory System (UNOLS) - Submit ship time request forms for use of USCG vessels and UNOLS vessels and request shared use equipment http://www.unols.org. 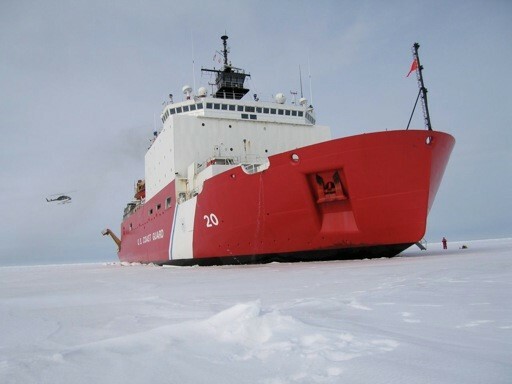 U.S. Coast Guard (USCG) - Information about the icebreakers is available at http://www.icefloe.net. Complete a UNOLS ship time request form on the UNOLS web site http://www.unols.org/ to use the USCG icebreakers. The RSL program invests in coordination and communication to benefit arctic science planning and execution through a variety of awards and efforts. Arctic Icebreaker Coordinating Committee (AICC) - Funded through the University-National Oceanographic Laboratory System, the AICC is a committee of arctic researchers providing input on the operation of the U.S. Coast Guard icebreakers for the support of science. Arctic Research Consortium of the U.S. (ARCUS) - ARCUS provides informational and organizational support for arctic research efforts including a searchable directory of arctic researchers, calendar of arctic meetings and events, the ArcticInfo listserv, downloadable publications, arctic science education opportunities, Witness the Arctic, support for the Study of Environmental Arctic Change (SEARCH), Arctic Logistics https://www.arcus.org/logistics, and more http://www.arcus.org. Arctic Research Mapping Application (ARMAP) - This searchable visualization tool provides information on field locations and project descriptions supported by or coordinated with NSF. ISAAFFIK - ISAAFFIK Arctic Gateway is a user driven web platform supporting Arctic research and collaboration. Summit Station Science Coordination Office (SCO) - To improve coordination and information about research at Summit Station, Greenland, the SCO interfaces with the research community, the arctic logistics contractor and NSF. NSF supports infrastructure at Toolik Field Station (http://toolik.alaska.edu/) and Utqia&gdot;vik (Barrow) (http://www.barrowbulletin.com/) to enable access for researchers. Power and communications for instrumentation is available at Imnavait Creek and Atqasuk. Remote field camps, aircraft contracts, and other support services are available in Alaska through CPS. Please contact the CPS science project planners at planning@polarfield.com for more information about working in Alaska (http://cpspolar.com/project-locations/alaska/). The main hubs for activities in Greenland are Kangerlussuaq, Summit Station, and Thule Air Base. Please visit the Greenland page on the CPS website for more information about working in Greenland (http://cpspolar.com/project-locations/alaska/) or contact the CPS science project planners at planning@polarfield.com. Summit Station near the highest point on the Greenland Ice Sheet operates year-round supporting clean air and clean snow science and research related to the GISP2 ice core http://geosummit.org. Researchers interested in working at Summit Station should contact CPS and the Science Coordination Office (SCO) at sco@geosummit.org. NSF also supports an overland traverse from Thule Air Force Base to Summit Station. Researchers may propose to use the traverse to support overland sampling on the Greenland ice sheet. Please contact CPS at planning@polarfield.com to discuss research that is appropriate for the Greenland Inland Traverse (GrIT). Researchers must comply with permit requirements from the Government of Greenland. Information and forms are available from the Ministry of Nature, Environment and Justice on a website dedicated to activities in remote parts of Greenland. Please also find more information and a portal for contributing Greenland project information at ISAAFFIK, the Arctic Gateway. NSF will support Search and Rescue for NSF-supported research teams, though NSF reserves the right to recoup costs if appropriate. NSF will coordinate with the Government of Greenland and other entities to evacuate SAR patients to the nearest capable medical facility (e.g., Nuuk hospital, Thule Air Base). NSF is not responsible for medical costs or the cost of transporting personnel with medical conditions from the field, the point of immediate medical treatment, or back to their home or care facility of their choosing. All research team members should have medevac or travel insurance to cover these costs. This insurance is an allowable cost under the grant terms and conditions. Contact the CPS science planners for information about working in Russia at planning@polarfield.com. Cherskii - The Northeast Science Station at Cherskii, Russia can support terrestrial or riverine research projects http://www.esrl.noaa.gov/psd/iasoa/stations/cherskii. The Station houses several pieces of laboratory equipment purchased to facilitate sample analysis on site and reduce the need to ship samples. http://thepolarisproject.org/blog/?p=1045. Chukotka - The Chukotka Science Support Group (CSSG) is a resource for researchers. Contact Tom Quinn at CPS for more information tom@polarfield.com. Tiksi - The hydrometerological observatory at Tiksi is a collaboration between NSF, NOAA and Roshydromet http://www.esrl.noaa.gov/psd/arctic/observatories/tiksi. Contact the CPS science planners for information about working in Canada, Svalbard, Fennoscandia, and on the Arctic Ocean sea ice at planning@polarfield.com. U.S. Coast Guard Cutter HEALY - Science support on the HEALY is organized through the Ship-based Science Technical Support in the Arctic (STARC) award to Scripps Institute of Oceanography and Oregon State University. Contact Brett Hembraugh (bhembrough@ucsd.edu) to initiate cruise planning on the HEALY. Contact Dave Forcucci (david.forcucci@uscg.mil), the HEALY Science Liaison, for additional information. The Icefloe website http://icefloe.net provides cruise planning and other relevant information. Submit a Ship Time Request (STR) form in the UNOLS system http://www.unols.org/ and include the STR as Supplementary Documentation to the proposal submission. Information provided by the Arctic Icebreaker Coordinating Committee (AICC) https://www.unols.org/committee/arctic-icebreaker-coordinating-committee-aicc is a resource for cruise planning and outreach to arctic communities. R/V SIKULIAQ and other UNOLS vessels - To request time on vessels in the University-National Oceanographic Laboratory System (UNOLS; https://www.unols.org), submit a Ship Time Request form in the UNOLS system and contact the ship operator for more information about particular vessels. Other research vessels may be contracted either directly by researchers using grant funds or by the RSL program. Research on foreign vessels may be warranted due to scientific collaboration or the region in which the vessel is operating. Please discuss specific vessel requirements with the cognizant program manager or Frank Rack (frack@nsf.gov) prior to submission to ensure the appropriate information and funding request is included with the proposal. Contact CPS for information about working anywhere in the Arctic and for all support needs planning@polarfield.com and http://polar.ch2m.com/. The RSL program managers welcome feedback on the performance of Arctic research support and logistics providers and suggestions for improving arctic research support.